Situated on this 7.75 acre parcel with a view of Jacks Lake is a 3,825 sq ft two story home with 3 bedrooms, 2.5 baths. Please understand, the home is very livable and being sold as-is. The value is in the land. This land is partially cleared and is prime for many uses of DEVELOPMENT. Future access to the property should be planned to be on Hunt Trace Blvd. Electric, Well and Septic for the home is on site. Currently this land is in the County although it is surrounded by properties within the Clermont City limits. The buyer could annex this property into the City of Clermont if you desire by following the proper procedures. 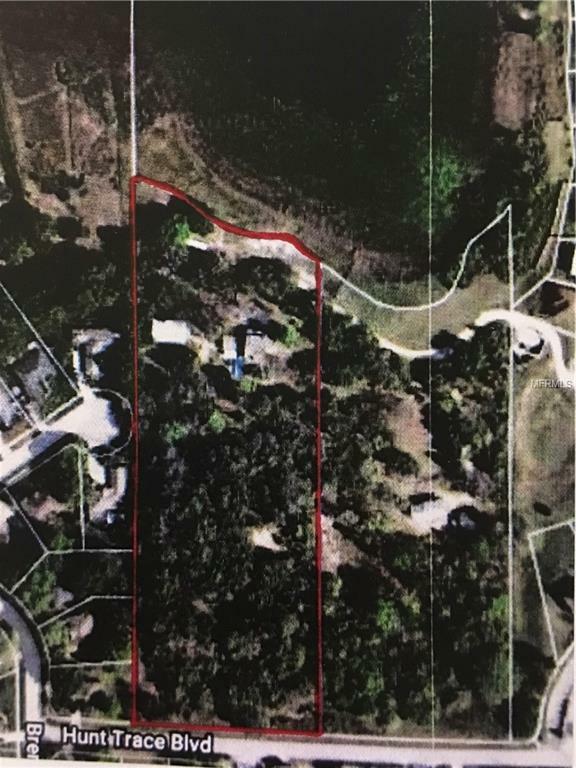 The property to the East has been annexed into the City of Clermont, rezoned, platted and approved to accept senior housing attached residences. THIS IS A GREAT OPPORTUNITY TO DEVELOP THIS PARCEL WHILE OFFERING THE CONVENIENCE OF BEING CLOSE TO SOUTH LAKE HOSPITAL, PUBLIC TRANSPORTATION, SHOPPING, RESTAURANTS, NATIONAL TRAINING CENTER, MILES OF TRAILS AND THE CHAIN OF LAKES TO ENJOY THE ACTIVE LIFESTYLE CLERMONT IS KNOWN FOR. 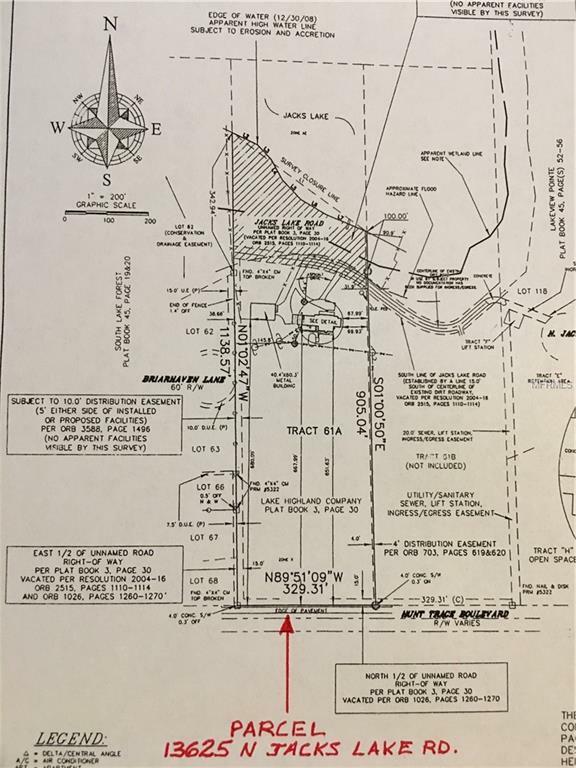 Land MLS # O5752283 Commercial MLS # O5752619.